Opioid Policy Becomes Personal For One Health Official After Husband's Death Deborah Thompson is a point person on Iowa's response to the opioid epidemic. Earlier this year, she revealed a more immediate connection to the crisis: her husband, who fatally overdosed on heroin. Deborah and Joe Thompson were married for six years. He died from an accidental heroin overdose in 2016. On a Monday afternoon in October, a panel of Iowa state legislators gathered in the Statehouse to discuss the opioid epidemic. Doctors, law enforcement officials and health insurers took turns at the lectern. One of the witnesses was Deborah Thompson. She had testified in front of state legislators plenty of times. As the legislative liaison for the Iowa Department of Public Health, she is often asked to give legislators a window into what the epidemic looks like in Iowa. The information can be wonky at times, like how many morphine-equivalent milligrams are prescribed each year, or can consist of cold facts, like that year's death toll. Last year in Iowa, there were 180 opioid-related deaths. In 2017, there are projected to be 201. This time, there was something else she wanted to share. "Today would have been my seventh wedding anniversary," she told the panel. 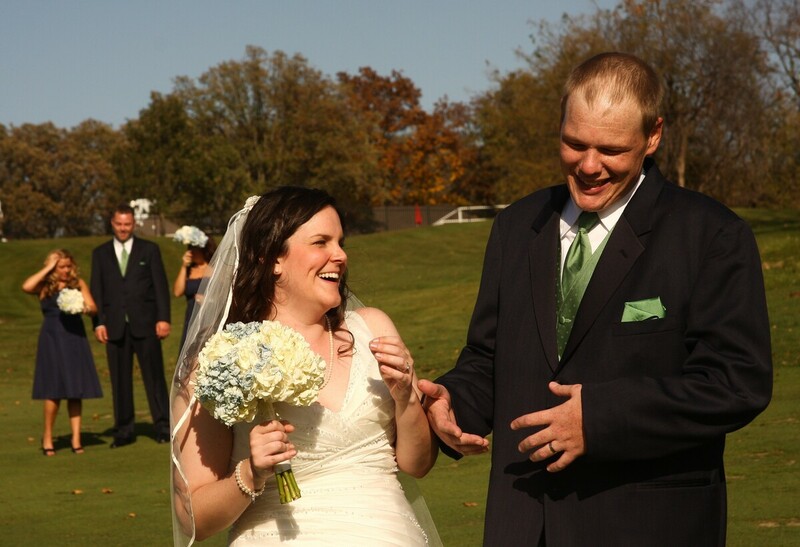 "My husband, Joe Thompson, passed away from an accidental heroin overdose last September. He left me and his 1-year-old son, Lincoln." For years, Thompson had worked on policy related to the opioid crisis in Iowa while keeping her own family's struggle with addiction in the background. She had told a couple of state legislators with whom she had close relationships, but sharing her story in public was a big moment. Thompson went back and forth about whether she could keep this to herself. She saw her role as the policy expert working in the background, not as a face of a national problem. "I wasn't really sure I was going to, and I just couldn't shake the fact that it was our wedding anniversary, and that had to mean something," she tells NPR's Robert Siegel. "The coincidence was too great. Joe had always gravitated toward the helping professions, he wanted to be a nurse or a counselor or something like that, and it would be quite an anniversary gift to give him, to be able to maybe grant that wish through me, if it helped a lot of people. It was probably one of the better gifts I gave him. I was never very good at our anniversary gifts." 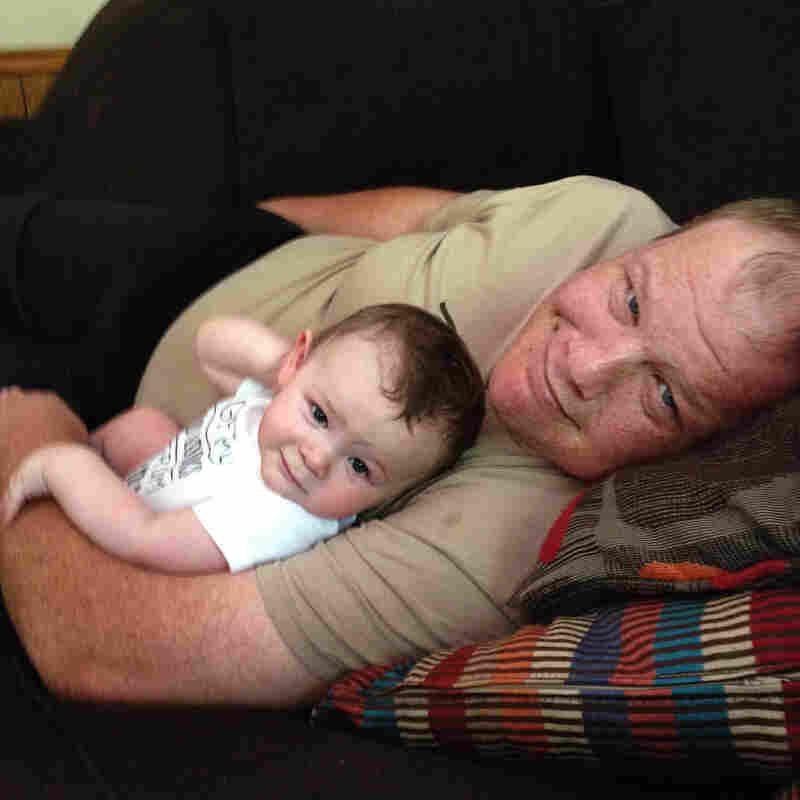 Joe Thompson, holding son Lincoln, struggled with opioid addiction for years. Joe Thompson's struggle with opioids started in 2004. After he was in a serious car accident, Thompson says her husband was likely overprescribed medication to treat the pain. He started going from doctor to doctor, a practice called doctor shopping, to get new prescriptions or refills. At his job as a package handler for UPS, he started swiping prescription drugs being shipped through the mail. Joe tried to get help. He enrolled in an outpatient facility. Several times, he got sober, sometimes for several years at a time. He even went back to school and got his nursing degree. But then he would relapse again. "I think it's hard to understand that," Deborah Thompson says. "I think logically your mind can get there, but your heart hurts ... the way the disease manifests itself, it's selfish, things are done to you, money was stolen from me, lies were told to me, and it's hard to wrap your mind around the idea that it's a disease causing this behavior while you're in it." It took Thompson awhile to really grasp that her husband was sick — that his addiction was not just a bad habit he couldn't kick, but a disease that was really hard to climb out from. "I just kind of equate it to, when my mother had brain cancer, we could see the tumor on the X-ray scans, we knew that something was growing and taking over her brain," she says. "I wish I'd known more about the science when we were in it. ... I felt like I was finally ready to deal with Joe's addiction, and then time ran out." Joe Thompson died in September 2016 from a heroin overdose. He was 35. Joe may not have beat his addiction, but Thompson is confident Iowa can. She says new funding has helped as have changes in the law that gave states additional flexibility to respond to the crisis. One policy change that she says could help save lives right now is to require doctors in every state to check prescription monitoring databases, which would prevent doctors from prescribing or refilling opioids to people who don't actually need it or are dealing with an addiction. She says waiting for doctors to voluntarily adopt best practices simply isn't enough. Deborah Thompson is also hoping her unique position at the crossroads of policy and personal experience can help move her state just a little bit closer to curbing the epidemic. "Just looking at how many community partners that are involved, that run the gamut of law enforcement, the health care community, public health professionals, community agencies, coming together in Iowa to fight this, I can't imagine we'll lose," she says. A previous version of this story incorrectly said there were 80 opioid-related deaths in Iowa in 2016. The actual number is 180.